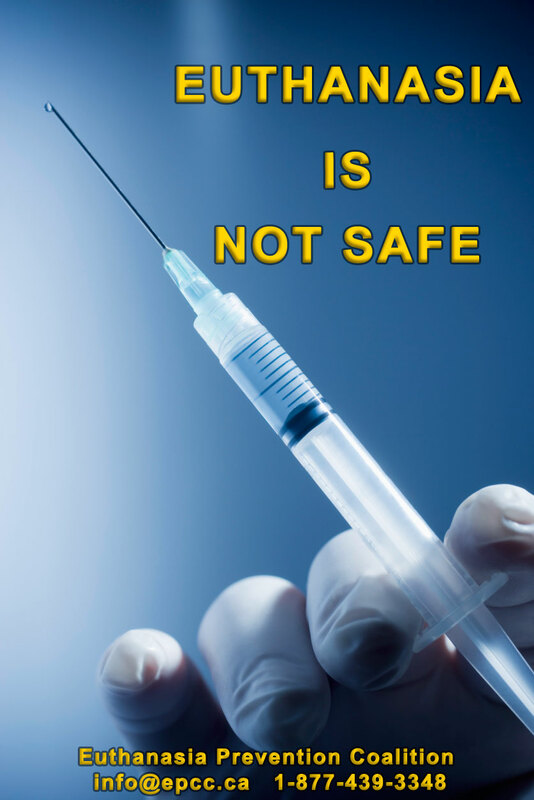 Euthanasia Prevention Coalition Euthanasia Prevention Coalition: Dutch euthanasia deaths continue to rise in 2015. 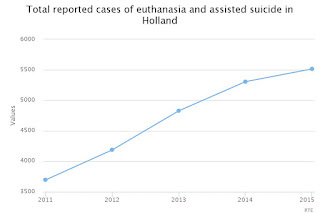 The Netherlands 2015 Euthanasia report indicates that euthanasia deaths continue to increase. According to the 2015 report, there were 5561 reported euthanasia deaths in 2015 up from 5306 reported euthanasia deaths in 2014. 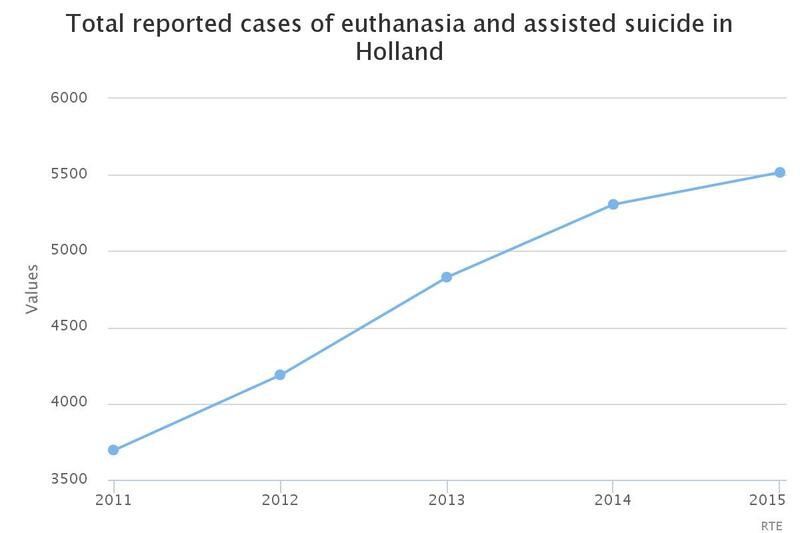 Since 2006, there has been a 289% increase in euthanasia deaths in the Netherlands. There is also an increase in the number of euthanasia deaths for people with dementia and for psychiatric reasons. There were 109 people who died by euthanasia based on dementia in 2015, up from 81 in 2014 representing a 34% increase. There 56 people died by euthanasia based on psychiatric reasons in 2015, up from 41 in 2014 representing a 36% increase. Similar to the 2014 report, there were only 4 cases referred by a Regional Euthanasia Control and Evaluation Commission for investigation. In January 2016, the Netherlands decided to extend euthanasia to people with severe dementia. The Netherlands euthanasia lobby is now lobbying the government to approve euthanasia for people who are healthy but "tired of living." Every five years the Netherlands conducts a major study on euthanasia. We are expecting to receive the 2015 study in early 2017. The 2010 study was published in the Lancet (July 2012) indicated that 23% of all assisted deaths went unreported in the Netherlands.